My name is Steph, and I am Mummy to Amelia, who is seven . We live in Bury St Edmunds with my husband, Neil. 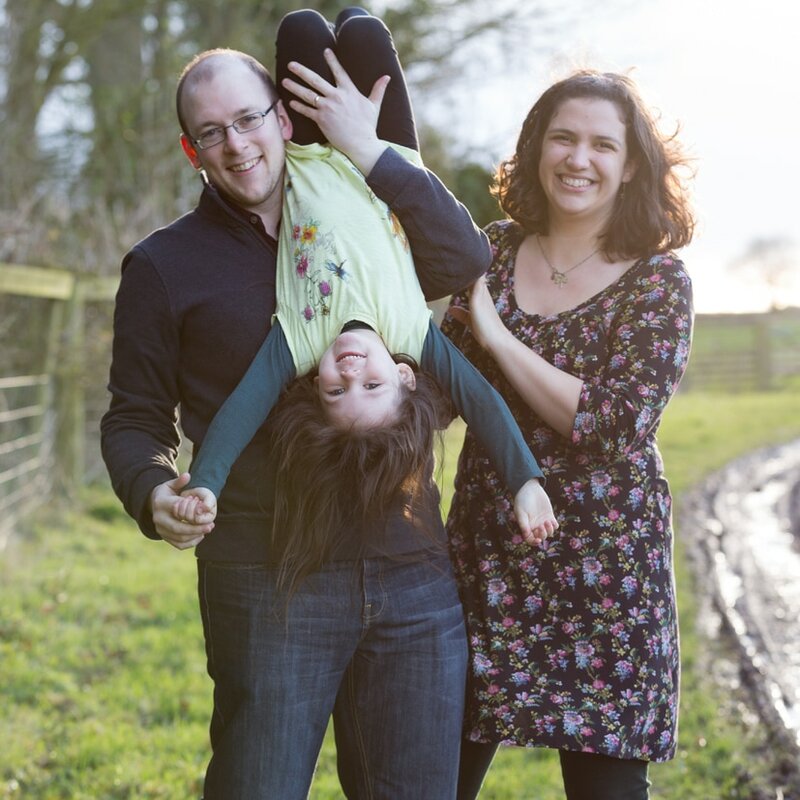 We moved back to Suffolk in 2010 to start a family after living in Bristol while I studied Music at Bath Spa University, and in St Andrews studying German and Classics. ​We spend a lot of time outdoors, always on the look out for animals to see, woods to explore and ducks to feed. Amelia was a fairly high needs baby, always on the go, with no off-switch at all, so I was kept busy. 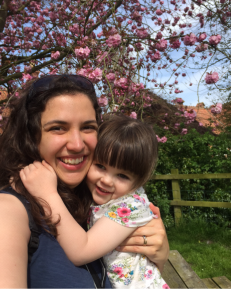 As I have an allergy to gluten, she and I shared a gluten-free diet until she was four, which made baby-led weaning a simple option for us, especially when she tried to feed me. Despite a fairly rough start to our breastfeeding journey, I breastfed Amelia until she was about 3½ years old, when she very gently weaned herself. We have co-slept from day one, and now she has a double bed of her own so I can share with her whenever she likes. She has been slowly self-weaning herself with this as well, needing me less and less to get to sleep. I loved to carry her in a sling as much as possible, but I also had a buggy for convenience on days where I fancied a break or need to do some shopping. We were the first of my generation in our families and amongst most of our friends to have a baby, so I have struggled with not having many mum friends to start off with, but I made friends through the NCT and began meeting up with a group of like minded mummies for walks in the area. I was the editor of the newsletter for the Bury St Edmunds branch of the NCT for four years, publishing ten issues of the newsletter during that time, as well as organising various events. I ran a gentle parenting group with a friend, which is called Mother Nurture Circle, and am the facilitator of the Bury St Edmunds branch of Attachment Parenting UK. I was the chairperson of the West Suffolk Hospital Maternity Voices (MVP) committee for three years. In 2014, I started working again one morning a week as a music teacher, as well as running a music group for babies and toddlers called Tadpole Tunes. This let me stay with Amelia as much as possible, and has been an amazing way to meet other families. In 2016 I set up Nature Explorers, a forest school-style group for families at West Stow Country Park, which runs on Wednesdays and Thursdays in term time. I am now working with a wonderful team of Mummies (Erin, Vicky and Jenna) to publish the St Edmundsbaby Magazine. This will be published twice a year and distributed in and around Bury St Edmunds. An online version is available here. There is now a fast-growing directory of local parenting and pregnancy related businesses on the website. I hosted the first St Edmundsbaby Pregnancy and Parenting Event in the Spring of 2016 at the Apex in Bury St Edmunds to raise money for local parenting services. I now run activities and stalls at the Sunday Brunch events at the Apex hosted by Sodexo Prestige. There will be regular events throughout the year, including two pregnancy and parenting shows and outdoor events. See the events page for more information. Our parenting journey changes constantly, and we are now entering a new stage of Amelia's development. We have made the decision to provide a slightly alternative education, with a mixture of home ed and some sessions at a Montessori Education Centre. I have just completed my training to become a Level 3 Forest School Practitioner, and run sessions for home educated children at Nature Explorers in West Stow Anglo Saxon Village. 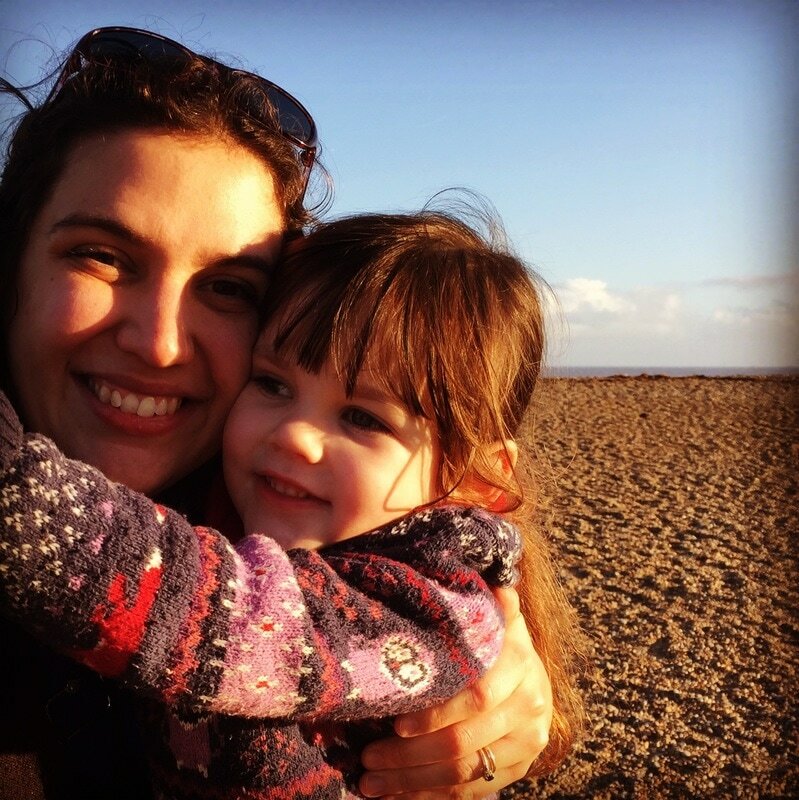 I started the website soon after Amelia was born, as the idea of becoming a hub for ideas, advice and information for fellow local parents. The support and resources available in East Anglia seemed to gravitate towards Ipswich, Cambridge and Norwich, and I felt that Bury was falling behind. 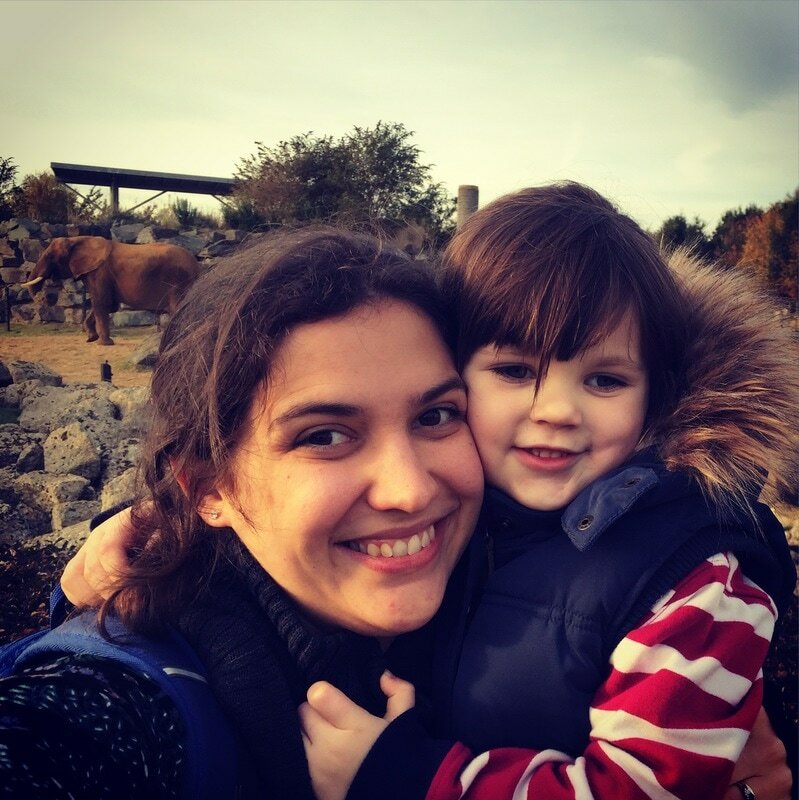 I have made some incredible contacts with some hugely talented health professionals, perinatal specialists, and parenting-related businesses, and it is my absolute pleasure to share them with you. I have recently been extremely honoured to be awarded various grants and support from local councillors, including Cllr Patrick Chung, Cllr David Nettleton, Cllr Sarah Stamp, Cllr Andrew Speed, Cllr Julia Wakelam and Cllr Joanna Rayner. I am hugely grateful to all of them for believing in me. I welcome any feedback you may have, and please do contact me if you would like to be involved with St Edmundsbaby, either via sponsorship, advertising or exhibiting at events.